DCSD hot lunch $3.00 = 1 entrée 2 sides and milk. 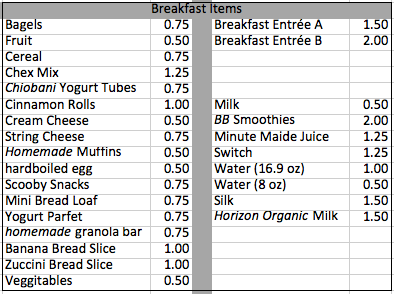 Samples of entrees are: pizza, chicken sandwich, hamburger, wrap sandwich. To find out if you qualify for free or reduced lunch, visit the online application. 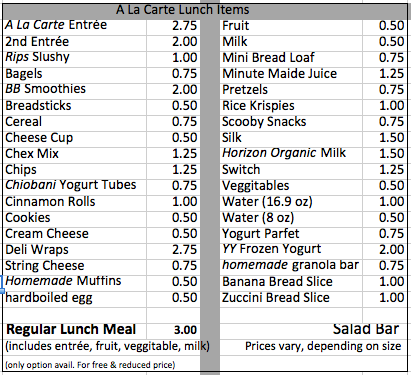 There are also a la carte items for students to purchase.